It is appropriate that we should begin with a minute of silence in memory of our beloved supporter and spiritual adviser, Bishop Rodney Roberts of Five Porches Ministries. We have come today with the specific purpose of discussing, endorsing and ratifying various amendments to the Constitution of our great Progressive Liberal Party. We have come today to prepare our great Party for the fight ahead. We meet in a mode of re-armament for battle; battle, not amongst ourselves, but a battle with THEM. We are sharpening our swords and burnishing our shields. We are steeling ourselves and making the necessary preparations to meet our opponents head on. And I say this to you, this morning – we will win at the next general election. We will win to restore decency and sanity to Government. We will win to restore that sense of compassion and caring that has always been the hallmark of the Progressive Liberal Party. We will win to once again create opportunities for people. 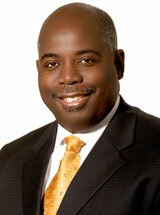 We will win to bring relief and wipe away every tear from the eyes of Bahamians everywhere. We will win for the sake of young Bahamians and those who are marginalised. A government of catch-phrases and gimmickry! They are a government of slick talk and brandish lies! None, but to destroy the livelihood of young Bahamians and call Bahamians corrupt! As we re-arm and re-position ourselves, we must ensure that our Party reflects the reality of these times. It is essential that we are on the cutting edge of reform. It is essential that we infuse our party with new young talent that will propel our nation forward into the future! It is essential that we continue to ensure that the mechanisms, procedures and the way we do business as the Progressive Liberal Party are current, relevant, transparent, alive and appealing. This is why we have called this One-Day Constitutional Convention. This is where we make decisions. At the end of the day, the conclusions and the resolutions will be that of the Progressive Liberal Party and will apply in the Party throughout the country. It will be your document and you must take ownership of it. I think it is necessary for me to review how we have arrived at this point. In 2017, Alfred Sears published “Proposed Amendments to the Constitution of the Progressive Liberal Party”. “…The objective of these amendments is to place more power in The Branches, make the Leadership more accountable, institute fiscal and campaign finance reform and ensure a fair election process for party officers and members of the Leadership Council. “These amendments concerned with transparency and accountability will signal to the Bahamian electorate that the Party is serious about regaining its position as an instrumental liberal and progressive political, social, cultural and economic transformation in The Bahamas. “A transparent and accountable internal governance process is the best evidence that the party is worthy and can be entrusted with the progressive and liberal transformation of The Bahamas”. “...the party will be guided by the new Leadership going forward on [the] proposed major review of our party’s constitution”. I heard the cries of Mr. Sears, Mrs. Hanna Martin and many other members of the party who expressed similar concerns. In fact, in October 2017, I advised the Trustees that I, too, desired a stronger and more transparent party. I, too, desired real participation of every member of our party. I, too, believe that democracy is deepened when more of our members participate in the affairs of the party. And so, we began the journey to today. One month later, in November 2017, we held a press conference where I announced the formation of the committee to review the party’s constitution. The Committee met with Party members throughout the country with draft proposed amendments; and every branch was urged to report their findings to the Party. The all-encompassing committee comprised some twenty individuals whose work was co-ordinated by Mr. Raynard Rigby, as Chair, and Ms. Jacqueline Simmons, as Deputy Chair. Each member of the committee, whose names are listed in the papers before you, had a specific area of concern namely, Party Objectives, Enforcement and Governance; Membership Structure/Organization; and Operations. No doubt, the presentation and discussion and any agreed amendments will focus on these broad themes. I thank the Committee for its diligence and swift pursuit of its task. It has been only less than eight months. We appreciate your dedication to your work and the Party as a whole, will be the beneficiary of your findings and recommendations. It is important for me to make this observation: no Constitution is written in stone. It is a living document and it may be necessary as time and events unfold that it will be necessary to come back to it for further revisions. It is never possible to address every issue at any one time, but let us make a start. I, therefore, invite all of you to fully engage yourself in this process. It is important that, as a Party, we hear the views of all concerned. No matter is trivial. No question is silly. It might be that one thought or comment that might make a difference. While the very nature of organisations is that there must be a hierarchical structure, I want every PLP within the sound of my voice and elsewhere to know that your voice and your views count as much as anyone’s else. We have no one man band… and in this spirit, we will be Better Together! I appeal to you to enter into these deliberations with tolerance and understanding, having a singular purpose – to produce a meaningful document. The Progressive Liberal Party has and will always be this country’s best hope to bring about real change. We are the Party that can restore credibility and integrity in governance. We are the Party that can bring about true transformation for the majority of our people. We are the Party that will deliver real ideas to grow our economy and put our people back to work! We have done this before! And we will do it AGAIN! This is important work. With God’s guidance and your help and support, we shall get this done...and we SHALL win! PLP! PLP! PLP! On to victory! God Bless YOU!